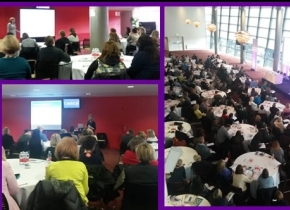 26th March saw Catch Up® at the Emirates Stadium hosting the ‘Interventions with Impact’ conference. Over 150 delegates had an action-packed day with plenty to cheer about. Confirm that you are already doing lots of things really well. Provide you with neat solutions to tweak your existing practice efficiently and inexpensively. Challenge some of your core thinking about what really improves learning. The Catch Up® Conference did all of the above! The first half kicked off with Professor Bette Chambers (Director of the Institute for Effective Education at the University of York) who gave delegates the latest evidence behind effective interventions. This was swiftly followed by Jean Gross CBE who had really useful insights into successful and less successful uses of Pupil Premium. On the winning side were things like targeting data from interventions forensically and putting pupils in the driving seat. Many thanks again to everyone who was part of such a brilliant day!